Here is a page from arguably the best issue of the bronze age Rampaging Hulk magazine done by Sal Buscema. Has the Hulk battling his alien copy, with the original Avengers- Thor, Iron Man, Antman, and the Wasp. It does not come framed. I can provide more pictures upon request. Some waviness to it not affecting overall presentation of piece. 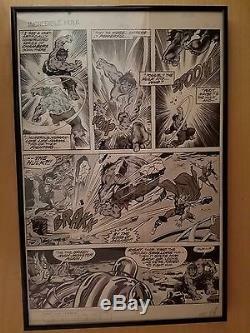 If the Amazing Spider-Man page sells this one comes down and vs versa. 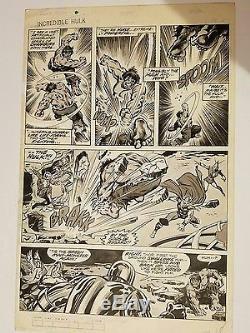 The item "HULK Magazine 9 art page Sal Buscema Avengers L@@k" is in sale since Tuesday, June 20, 2017. This item is in the category "Collectibles\Comics\Original Comic Art\Interior Pages". 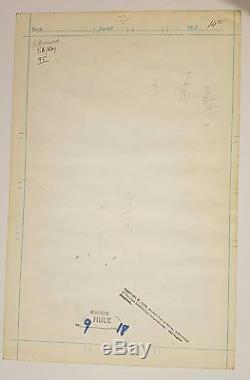 The seller is "bakr3" and is located in Glendale, Arizona.